That mission, known as Orbital Test Vehicle-5 (OTV-5), began Sept. 7, 2017. 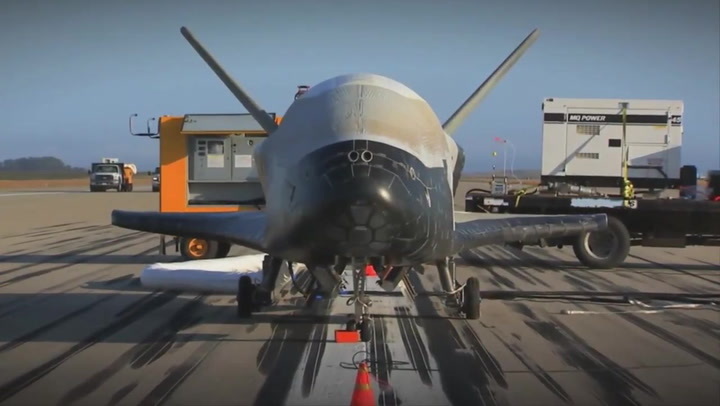 According to Air Force officials, one payload flying on OTV-5 is the Advanced Structurally Embedded Thermal Spreader, or ASETS-11, of the U.S. Air Force Research Laboratory (AFRL). This cargo is testing experimental electronics and oscillating heat pipes for long durations in the space environment. Most space technology is dual-use, with the ever-increasing sway toward warfare in space, it's likely that the more militaristic uses of the space plane will be pursued more vigorously during the Trump Administration.